Queen Street. Alkyd synthetic oil paint over acrylic on canvas. 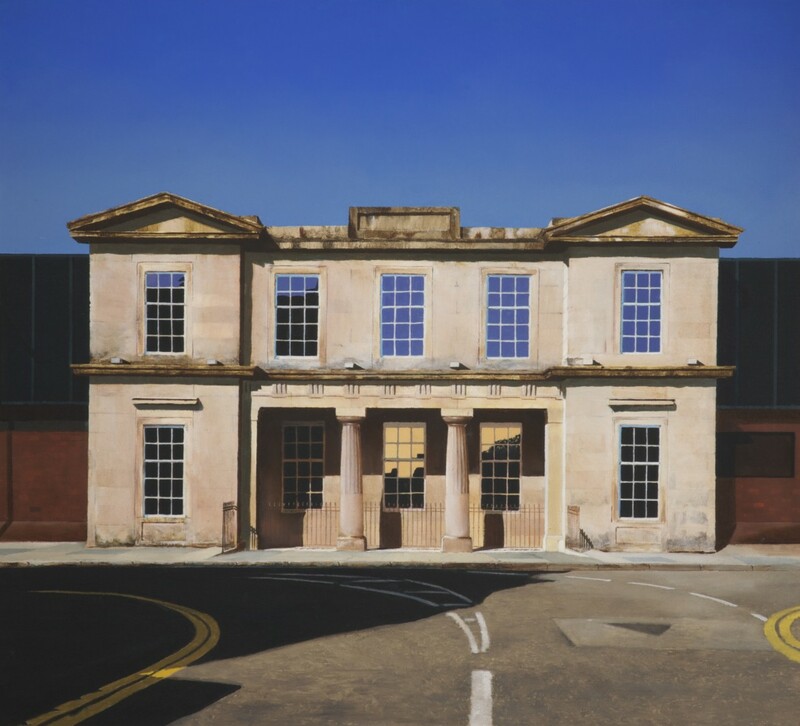 A painting based on a drawing made from several working photographs, the actual building cannot be viewed in total from the real vantage point as some nearby buildings encroach and partially obscure it. This was formerly a non-conformist Christian church, which after being badly fire-damaged was, with the exception of its Doric inspired neoclassical frontage, demolished. The façade was preserved and integrated into a multi-storey carpark external wall. Collection of the Grosvenor Museum Chester © The Grosvenor Museum.